and Errol Sanders saluting the Queen. 25: American, British and Canadian flags being posted. 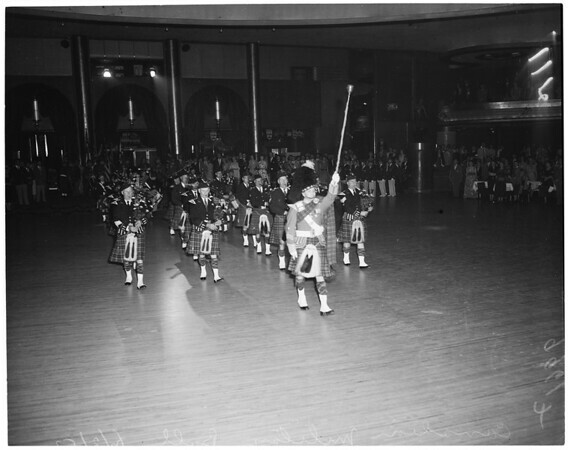 Canadian Legion pipe band from Post No. 77 and 81."